Flying on Hawaiian Airlines isn’t just any old A-to-B plane ride. It’s a genuine treat, an extension of your island getaway, and where you can have your Mai Tai and drink it too. Starting this month, our guests can indulge in an enhanced beverage menu, featuring a new coffee roasted on O‘ahu, a seasonal beer brewed on Maui, and a refreshed lineup of island-inspired cocktails to satisfy your Hawai‘i craving. 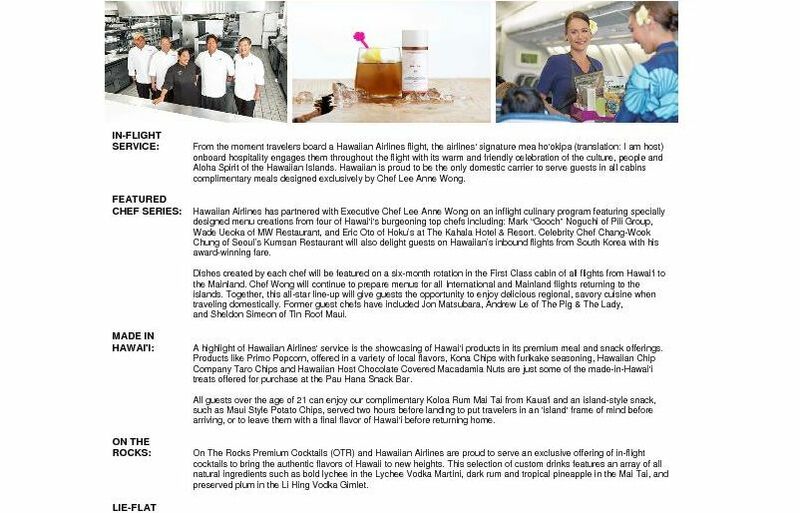 Next time you fly on Hawaiian Airlines, be sure to ask your flight attendant about our new beverages … and enjoy! 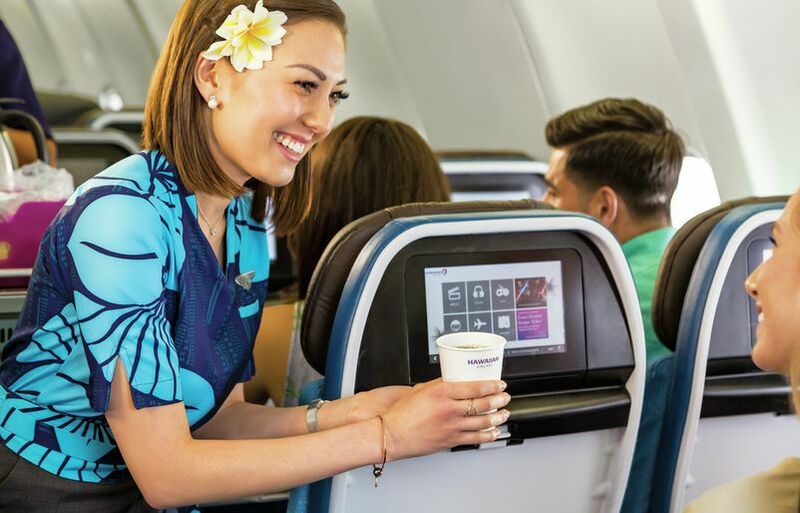 Lion Coffee is now served onboard Hawaiian Airlines, caffeinating all aircraft cabins in addition to our airport lounges statewide. We worked closely with the Honolulu-based roaster in brewing the perfect cup. The result: a smooth, full-body taste with every sip. The blend was created exclusively for our guests: a flawless mix of Arabica beans and a dark French roast that can be brewed into a deliciously rich cup at all altitudes. Flying to Honolulu? 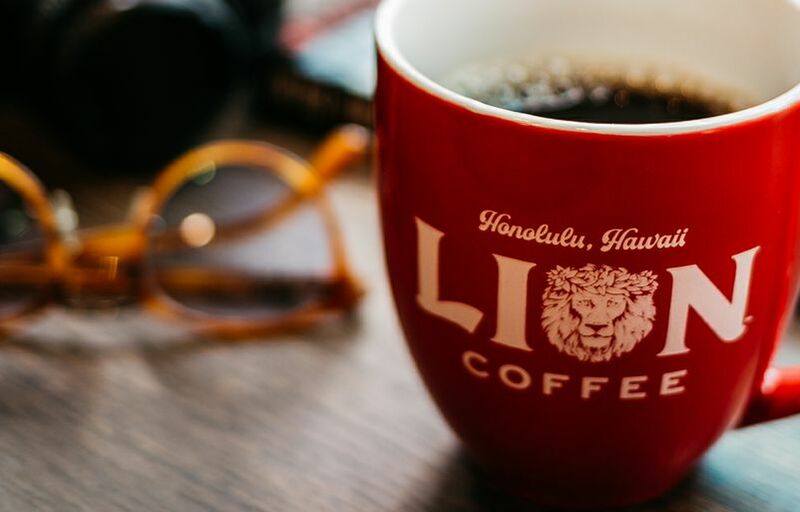 Learn the story behind your coffee by touring Lion Coffee’s roasting facility and cafe, about a 10-minute drive from the Daniel K. Inouye International Airport. You can also get 10 percent off your purchase when you mention Hawaiian Airlines at the cafe throughout the month of February. Learn more here. 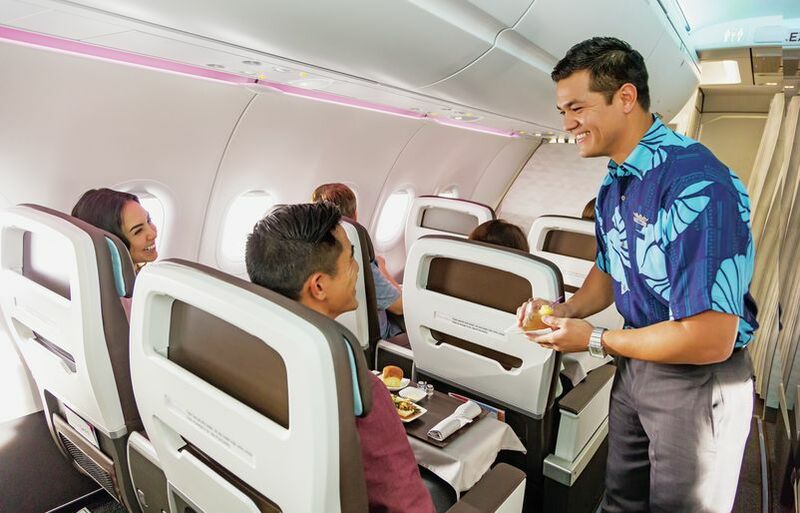 When you treat yourself to a trip on Hawaiian Airlines, you get the full holiday package: authentic hospitality, cultural experiences, locally inspired food, great people, comfortable seats, and, to top it off, a dreamy tropical cocktail. We worked with On The Rocks (OTR) Premium Cocktails to offer new and enticing beverage options served complimentary in the Business/First Class cabin on our international, U.S. Mainland and Neighbor Island flights and available for purchase for main cabin guests on all domestic flights. Flavor Notes: Ginger, lime and passionfruit. Base Liquor: OTR’s exclusive Cruzan blend of their five-year Diamond Light, five-year Diamond Dark and five-to-12-year Single Barrel rums. Inspired By: The ever-famous Moscow Mule that is as satisfying as it is refreshing. 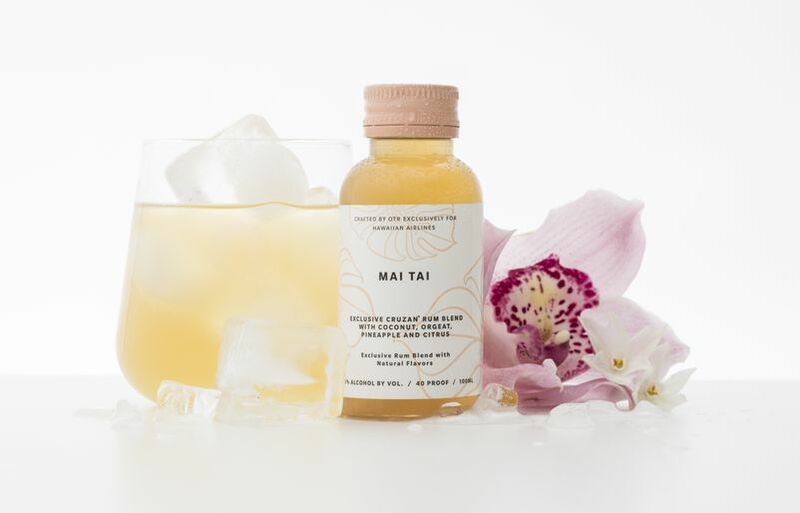 Why We Love It: Ginger is our favorite way to add a sweet and spicy taste to our drinks, while fully embodying Hawai‘i’s Asian-infused culture. Untie those shoelaces and throw on your slippers (flip-flops), because this drink will take you straight to island time with every sip. Flavor Notes: A tangy flavor mixed with guava, lemon, violet and coconut. Base Liquor: Larios Gin, a popular, citrus-forward blend from Spain. 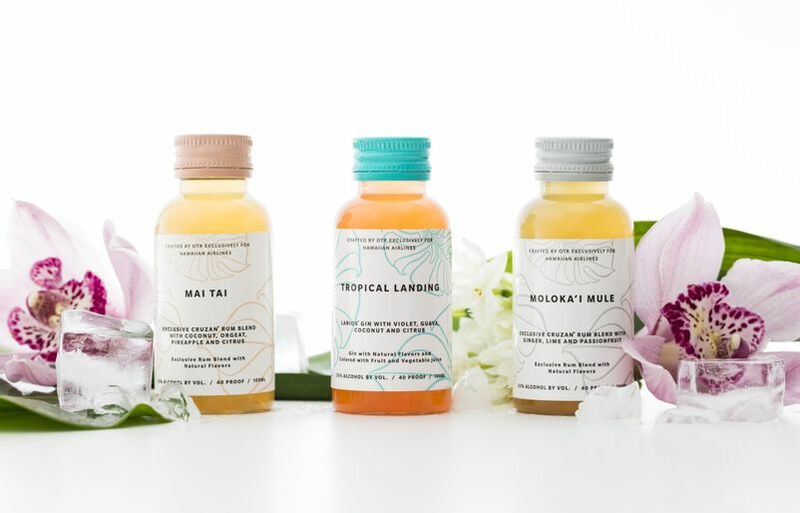 Inspired By: The tropical rush you experience when our aircraft descends from above the clouds, revealing the Hawaiian Islands from your cabin window. 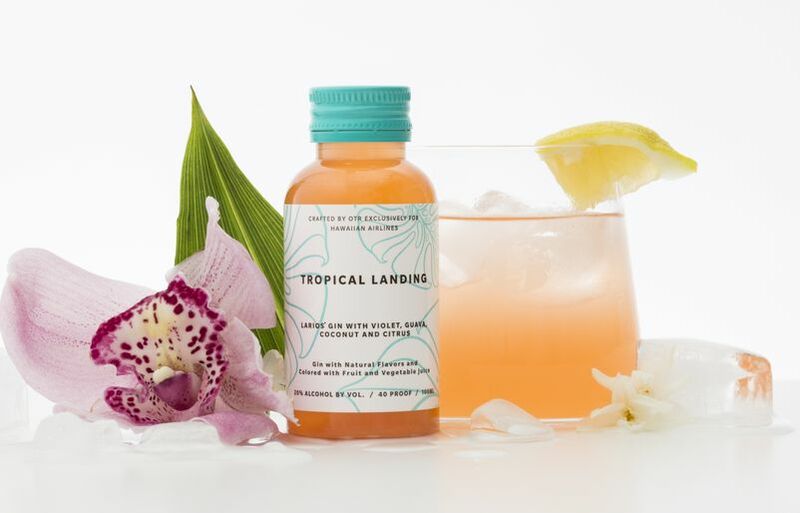 Why We Love It: This drink is the perfect tango of sweet and sour with just the right touch of coconut. Flavor Notes: Orgeat syrup, orange, pineapple and coconut. Base Liquor: OTR’s exclusive Cruzan Rum blend of their Diamond Light, Diamond Dark and Single Barrel batches. 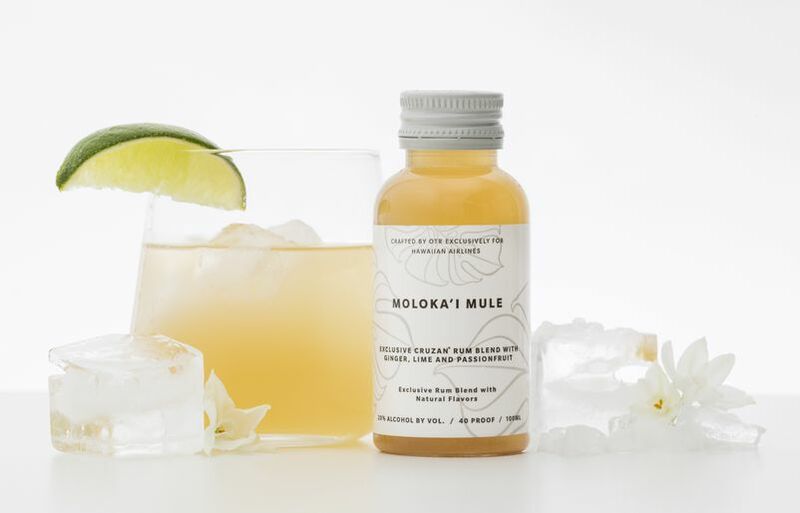 Inspired By: The days of O‘ahu’s illustrious tiki era, when Hawai‘i’s biggest names like Don the Beachcomber and Duke Kahanamoku were Waikīkī highlights. Why We Love It: The Mai Tai has been a staple on our beverage cart, but this recipe was revamped with a brand-new rum that’ll make your taste buds sing like Don Ho. 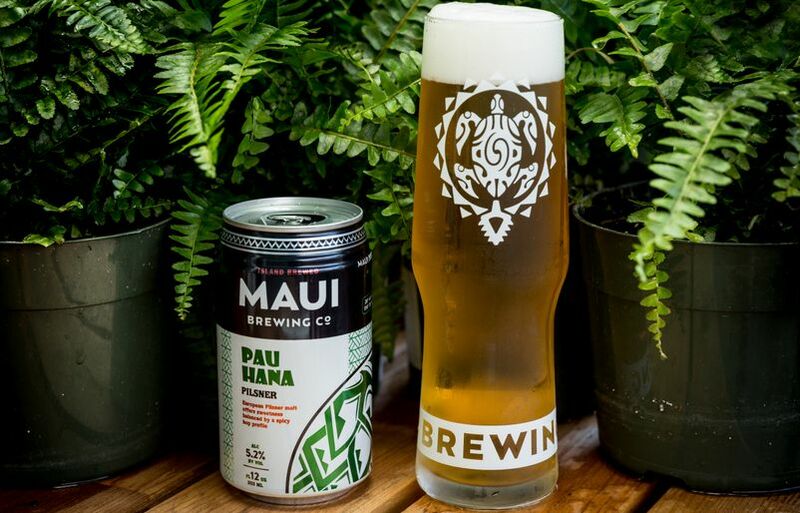 For a limited time only, guests can kick back and relax with Maui Brewing Company’s new Pau Hana Pilsner. The seasonal drink joins the brewer’s Bikini Blonde, a local favorite and a popular onboard choice. Flavor Notes: European Pilsner malt that offers sweetness balanced by a spicy hop profile from the Floral Saaz hops. Color: Bright golden in color and pours with a creamy white head. Why We Love It: Maui Brewing Company is a true master at its craft that is sure to please any beer lover looking for a classic brew. Next time you're on Maui, take a tour of the Maui Brewing Company brewery (located in Kihei via their Tasting Room) for an up-close look at their brewhouse and the story behind one of Hawai‘i's most popular beers. Learn more here. 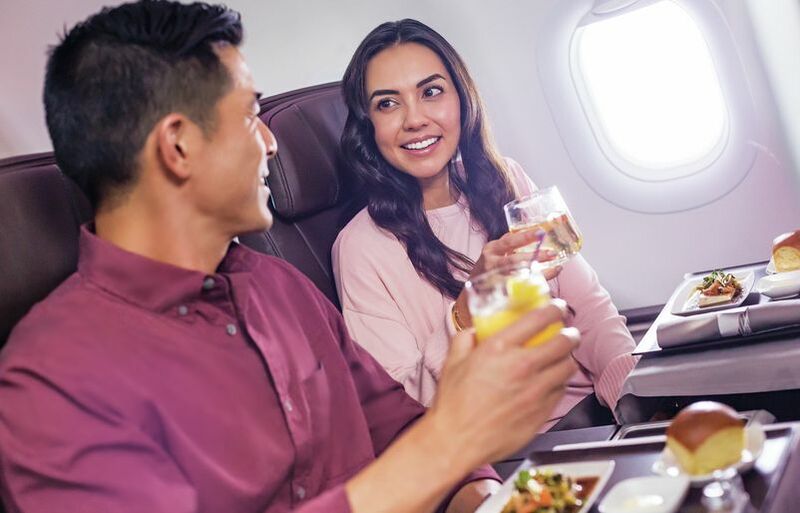 To learn more about our in-flight services, including our complimentary meals and beverages, click here.